Today we recognize the life of John. C. Bogle, whom we lost on Wednesday. We owe much gratitude to the man who tirelessly dedicated his life to democratizing investing and being an advocate for the financial success of the average investor. 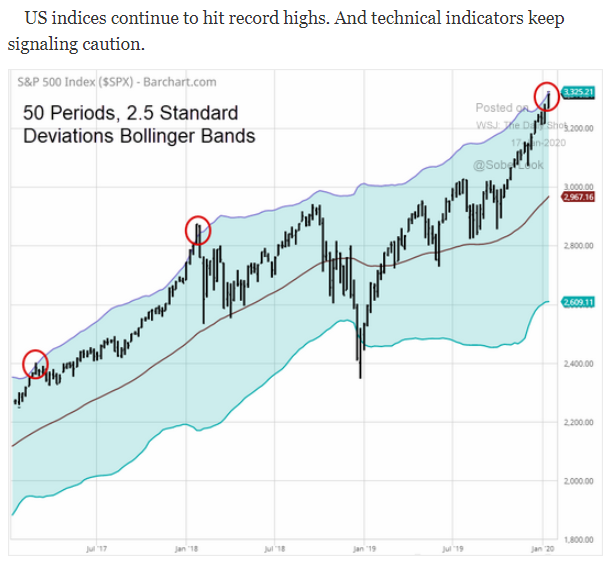 The worsening global liquidity growth that we touched upon in Wednesday's blog did not show well in S&P 500 price return. U.S. crude oil hit another record, beating its last high in 2018. 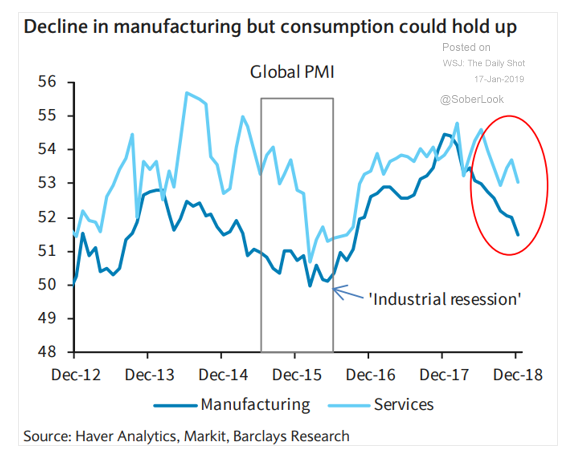 Will consumption weaken as manufacturing declines? A chart on U.S. cities poses the question: how much does buying power change as a result of a 0.5% decline in mortgage rates? 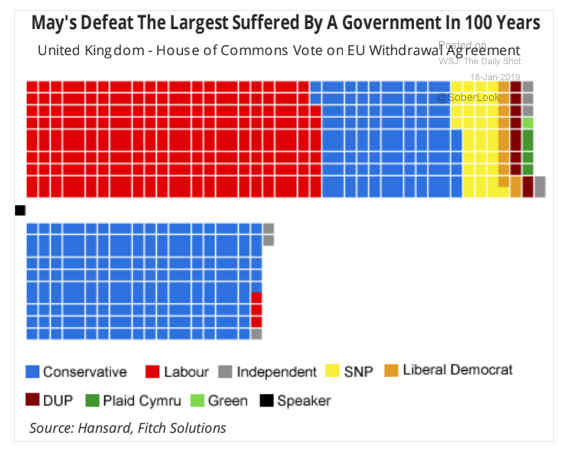 Finally, some updates on Japan and the Brexit deal vote in the House of Commons in the U.K.
We will not be posting this upcoming Monday, January 21st due to the holiday (Martin Luther King Jr. Day). 1. Part of the world's Central Bank Quantitative Easing included massive increases to the world's money supply. The withdrawal of this liquidity should have a similar, opposite effect. 2. 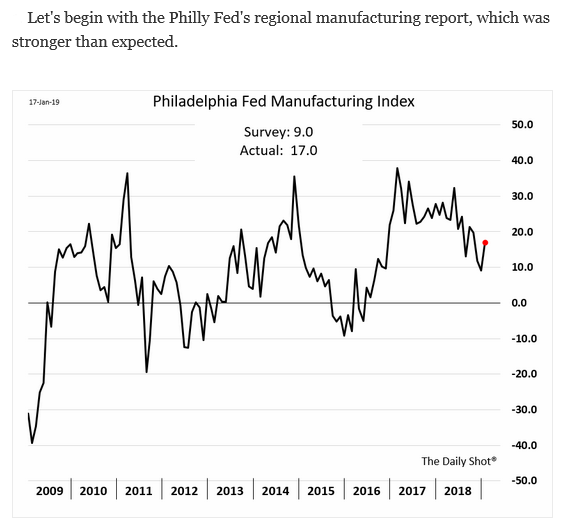 Buy the rumor, sell the news? ...or is a substantive solution in the cards? 3. 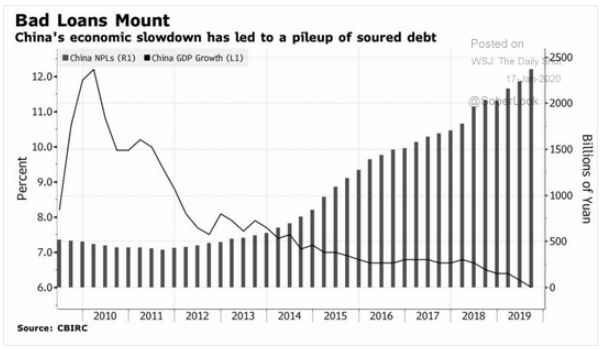 China's economic weakness is "forcing" the PBoC to stimulate again. 5. 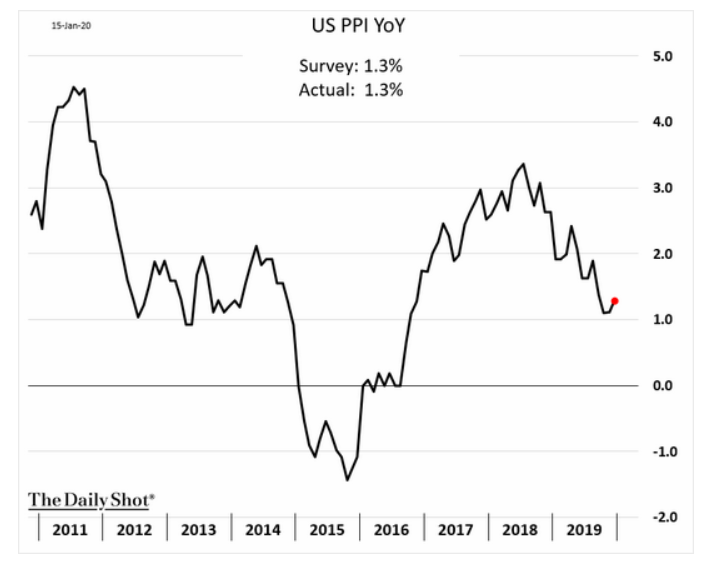 Despite modest wage growth, inflation remains tame in the U.S. and Europe. 6. 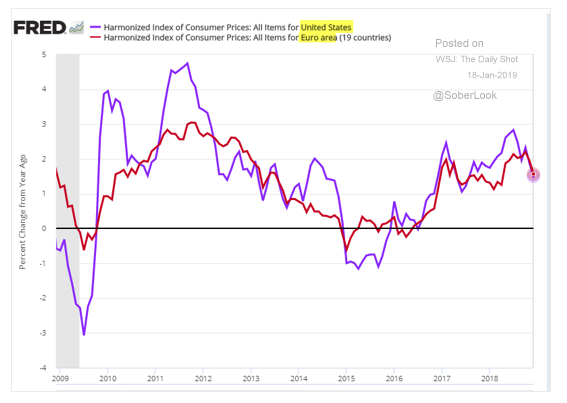 U.S. and global consumers are generally in much better shape than in 2007. 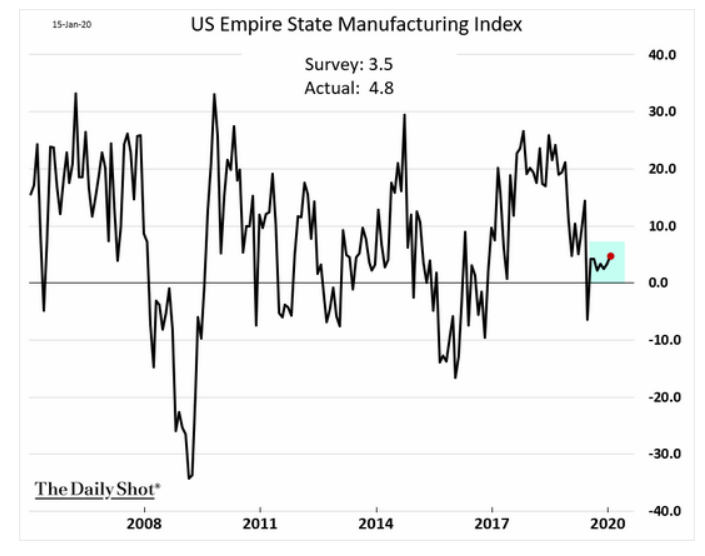 Will they be able to carry the global economy through an obvious manufacturing slowdown? 7. 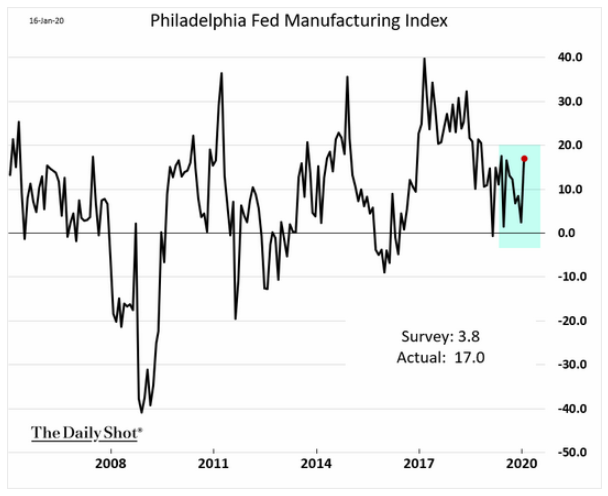 After months of disappointment, finally a regional FED survey that shows some good news! 9. A great chart illustrating mortgage rate sensitivity for select cities. 10. 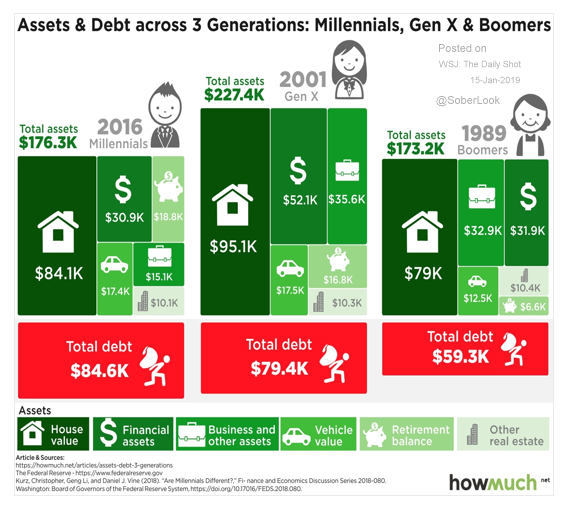 A look at assets and debt across generations. 11. 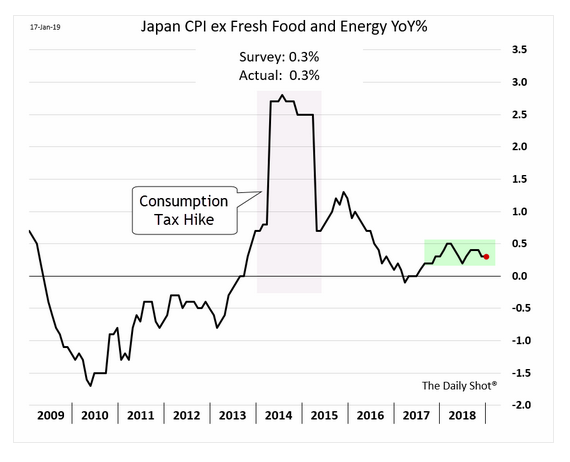 Despite the Abe government's stimulus, inflation in Japan is almost non-existent.